If Justin Bieber had you thinking we wouldn't hear new music from him for a long time, we've got great news for you. 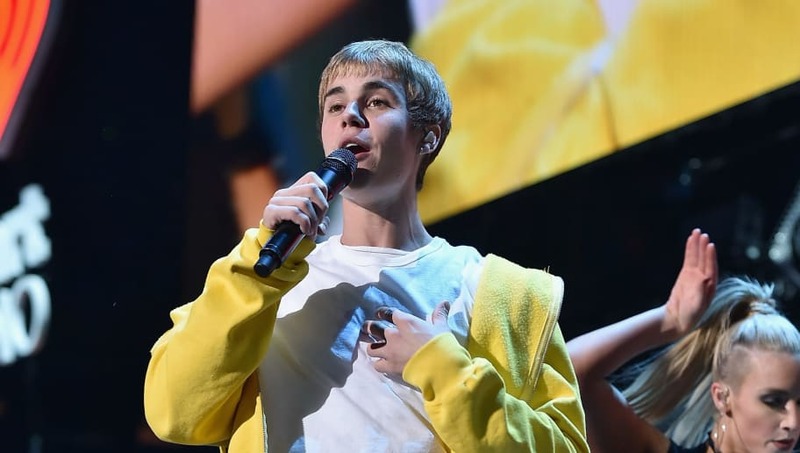 The 25-year-old singer hasn't released an album since 2015's Purpose, and after he took to Instagram last month to explain his absence from the music scene, it really seemed like he'd be gone for a while to come. Writing in his caption, Justin shared, "I am now very focused on repairing some of the deep rooted issues that I have as most of us have, so that I don’t fall apart, so that I can sustain my marriage and be the father I want to be." Well, he must be making some major progress in his healing process, because according to TMZ, he's teamed up with Lil Dicky for a new single. Sources tell the publication that the track—which will be Justin's first feature since 2018's "No Brainer"—is set to drop next week. Justin retweeted Lil Dicky's announcement of the song, although he hasn't given fans any other hints that he's on it. However, fans are now flocking to the replies section to ask Justin why he retweeted it, and if there's any truth to the collab reports. "Don’t play with us JB," one tweeted, while another wrote, "What the hell is happening? Is this a collab. It better be!" We'll have to wait until next week to know what's going on for sure, but we have our fingers crossed we'll be adding a new Bieber song to our library.